This galaxy was discovered in 1779 by Méchain; it is in the constellation of Canes Venatici. With other galaxies including M51, it forms a group of objects held together by gravitation, 37 million light-years away. 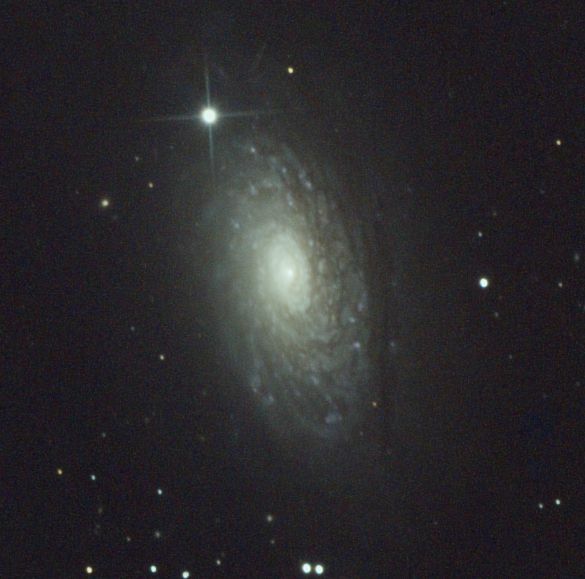 With a magnitude of 8.6 and an apparent size equivalent to a third of a full Moon, M63 is a choice subject for amateur astronomers. An image by Vincent Backer taken with digital reflex camera behind a 200mm diameter telescope.